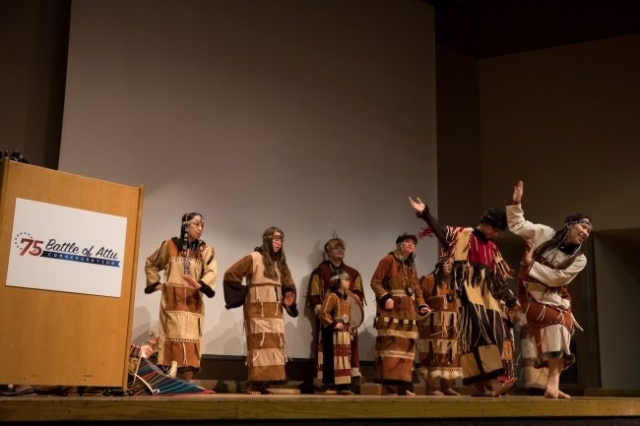 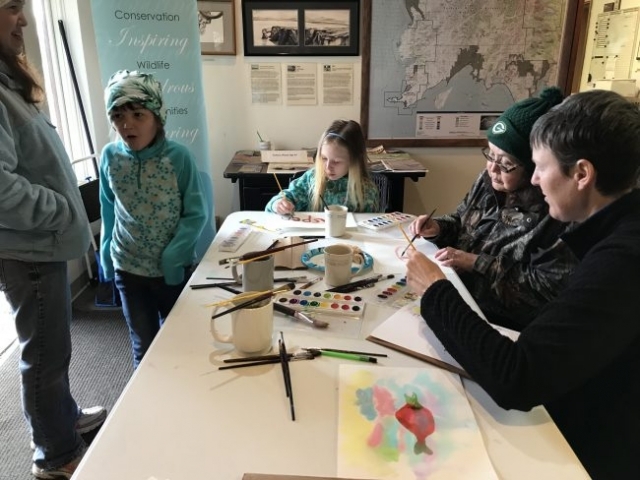 Art in the Arctic in its 4th year was a big hit once again drawing a younger and diverse crowd of 250 on March 7. 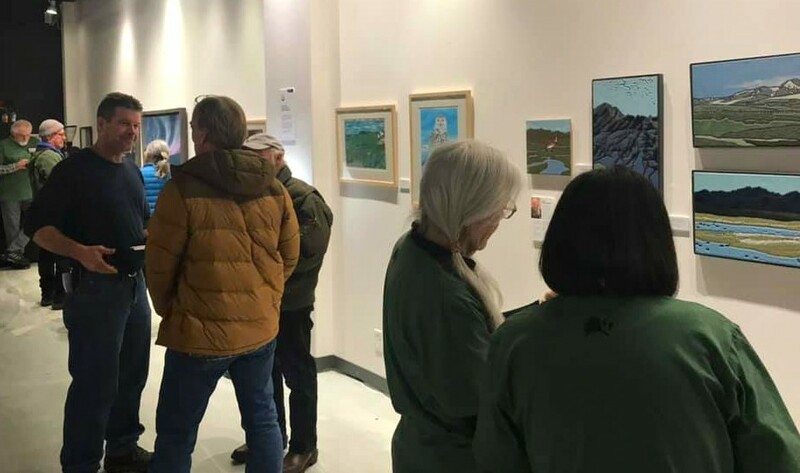 Friends cosponsored this art show showcasing works highlighting the three northern refuges – Arctic, Yukon Flats, and Kanuti. 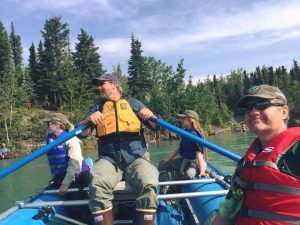 This year’s theme was “Public Lands – Open to all Americans to Use and Enjoy“. Various works portrayed hunting, fishing, hiking, wildlife viewing, river-floating, photography, sightseeing and other uses of public lands. 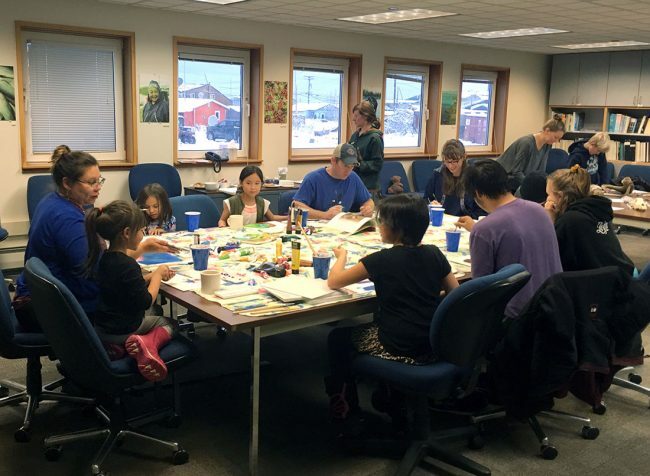 Eight artists were selected to exhibit in the show which will be up for the entire month at the popular coffee house and art gallery, VENUE, located at 514 – 2nd Avenue Fairbanks, Alaska. 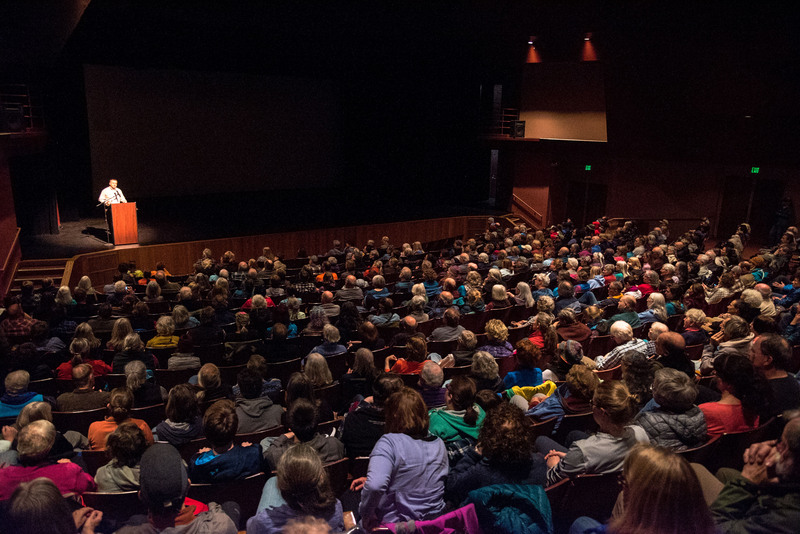 Mediums ranged from wood carvings to oil to photography, fabric art, and large-scale watercolors. It was a lovely evening with great food, good messaging about the refuge system and high visibility for the three refuges. 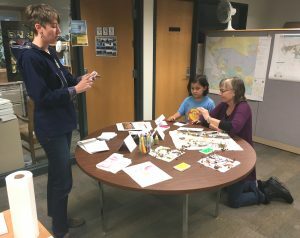 Featured artists included Lindsay Carron who has completed two Artist in Residence programs at the Arctic Refuge as well as spent time on the Yukon Delta Refuge. 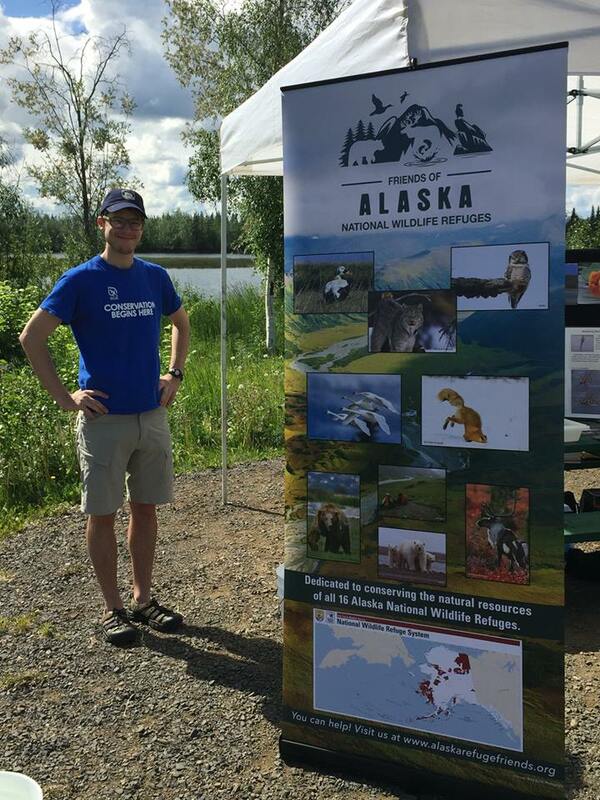 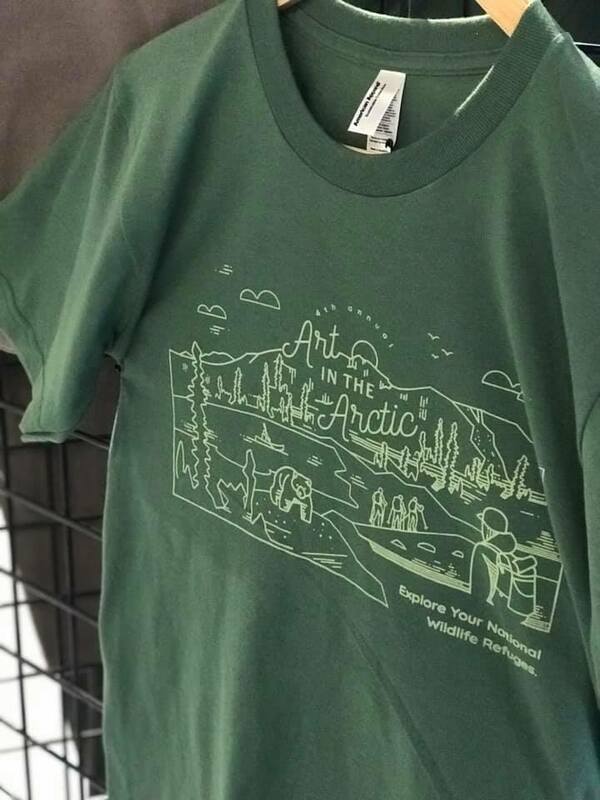 Special Tee shirts were created for the event – one Art in the Arctic Tee and one – Find Your Refuge Tee. 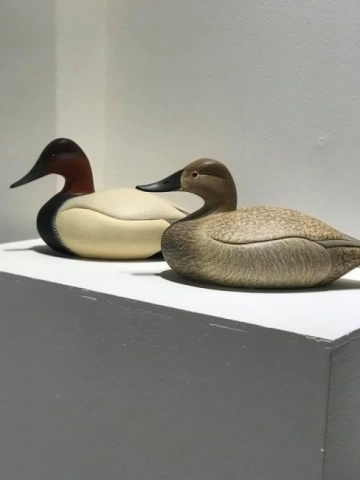 Both are available for sale online and 10% of the proceeds go to Friends. 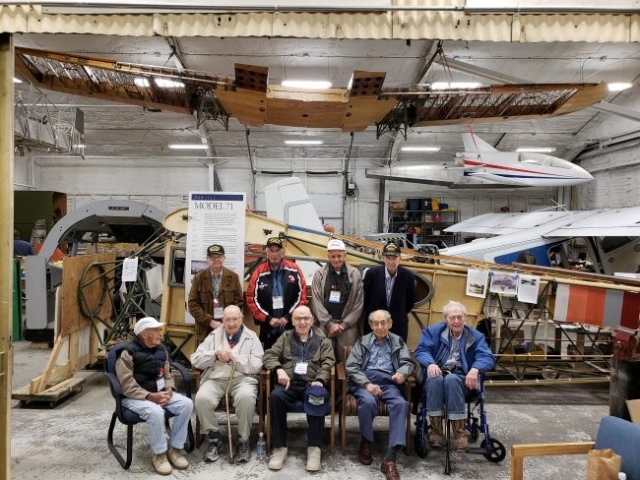 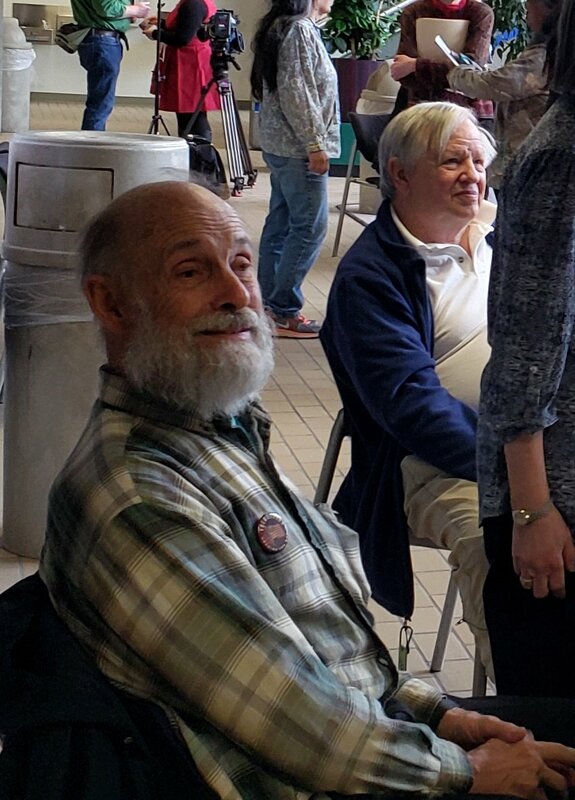 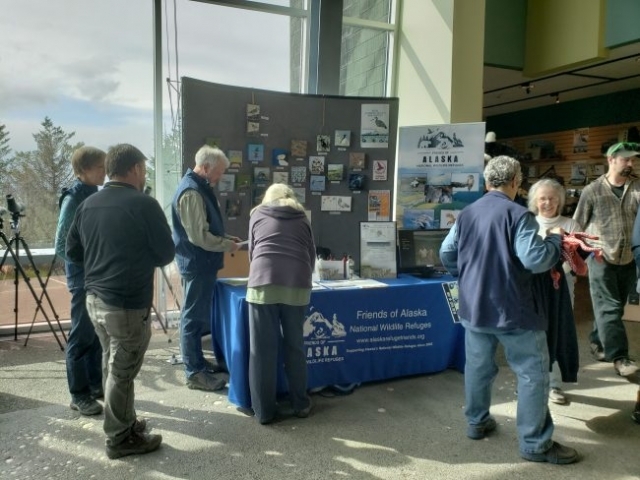 Fairbanks Friend Jeff Walters and Homer Friends Poppy Benson and Frank Cloyd were on hand to greet and orient attendees and recruit for Friends. 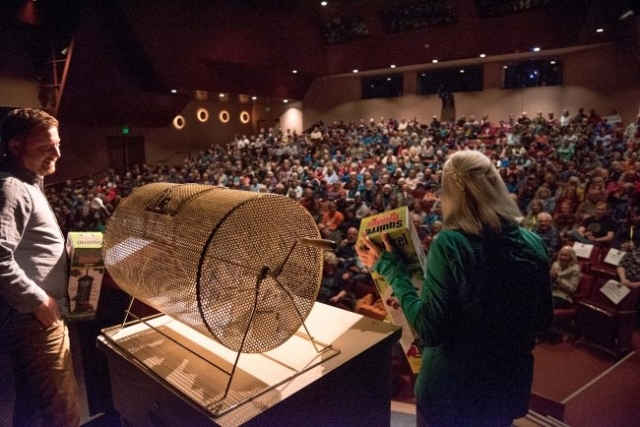 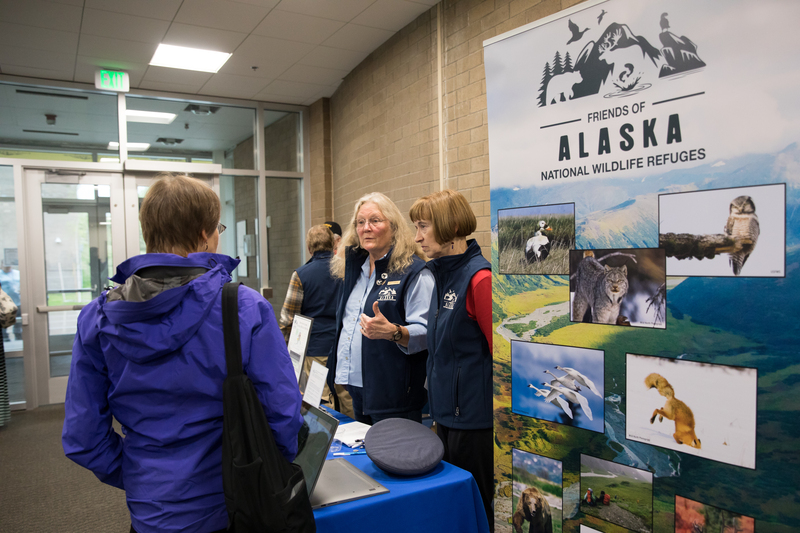 Several new members signed up at this event and at the Alaska Bird Conference which was also held in Fairbanks earlier in the week. 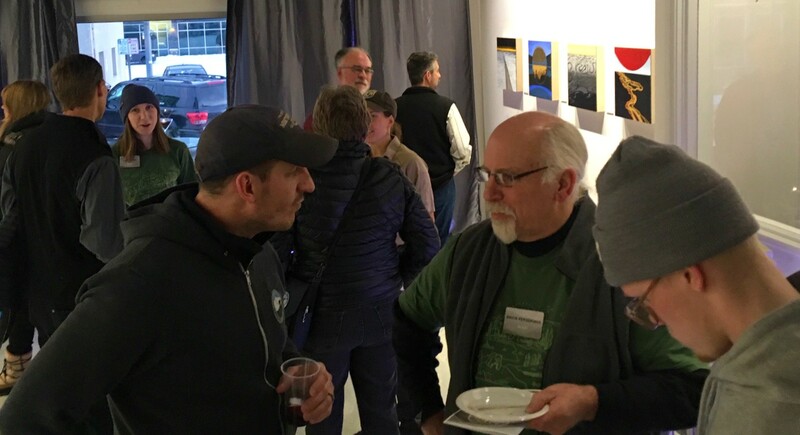 At the end of the week, plans were afoot for a face to face meeting of Fairbanks Friends during our April 16 monthly membership meeting. 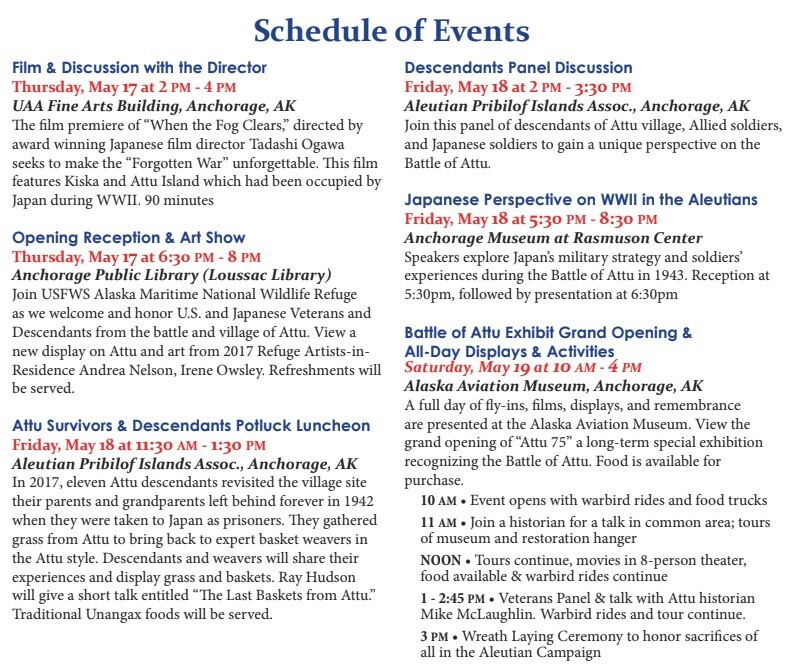 Contact Poppy Benson, poppyb.ak@gmail.com for more details. 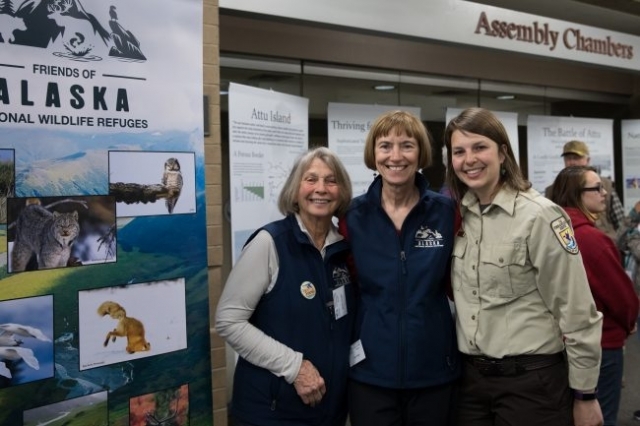 In celebration of Refuge Week, we hosted an Art Night and Open House event. 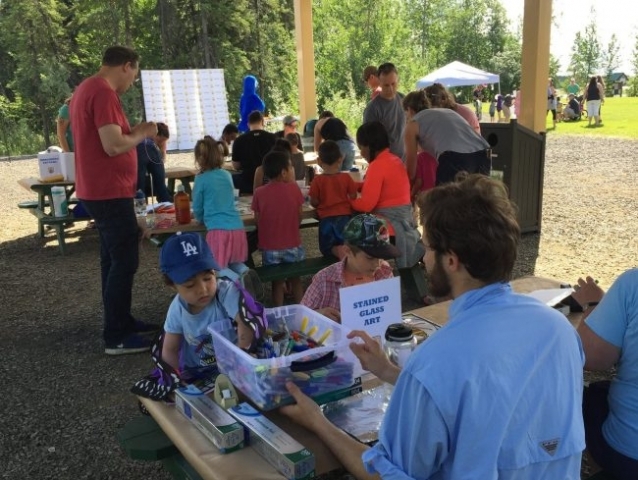 About 25-30 people of mixed ages young children, teenagers, parents, and elders, attended. 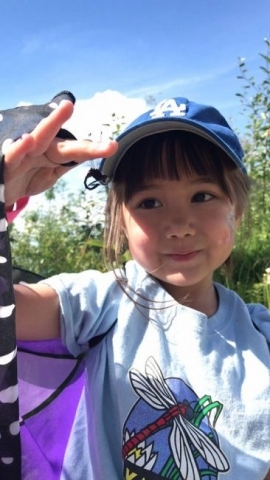 We hosted activities like plant printing on stationery, acrylic painting on small canvases, and “blind drawing” of various items (antlers, skulls, etc.). Many of the people in attendance had never been in our office before. 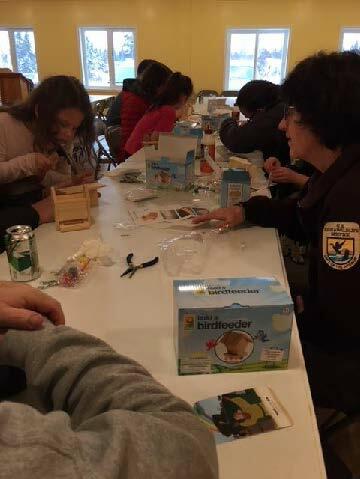 One of the National Park Service seasonal staff assisted us with the event as well. We greatly appreciate the refreshments that Friends provided—everyone in attendance enjoyed them! 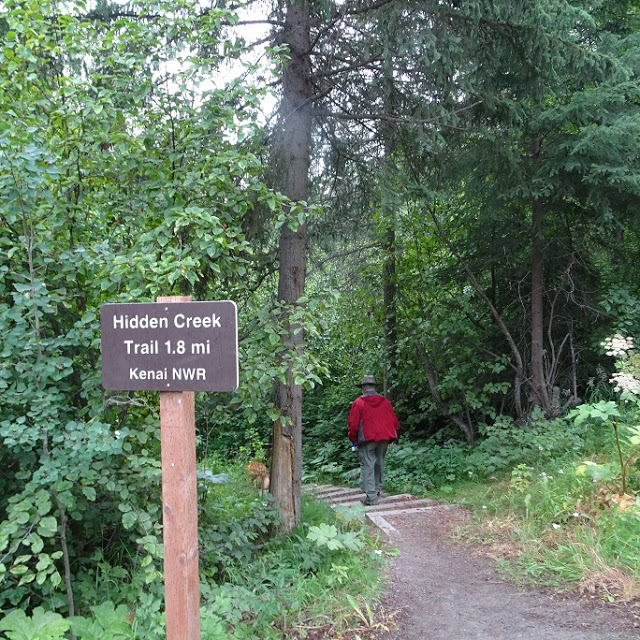 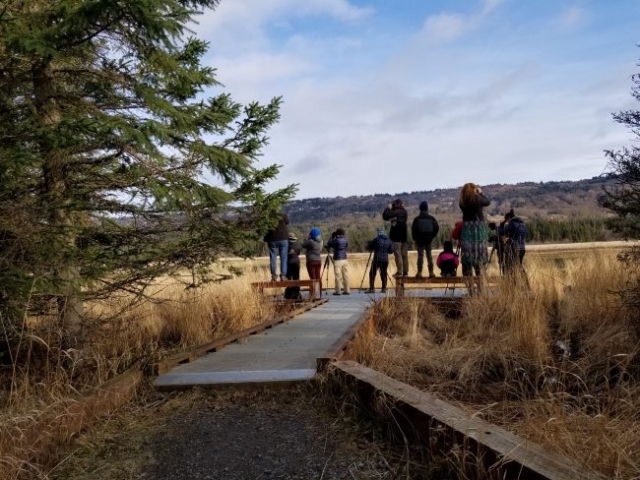 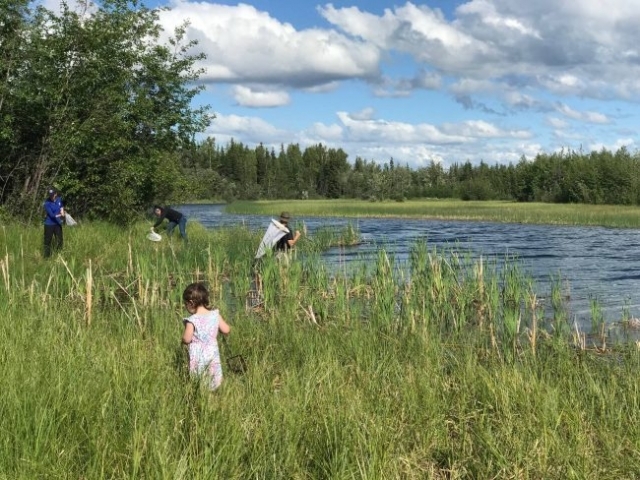 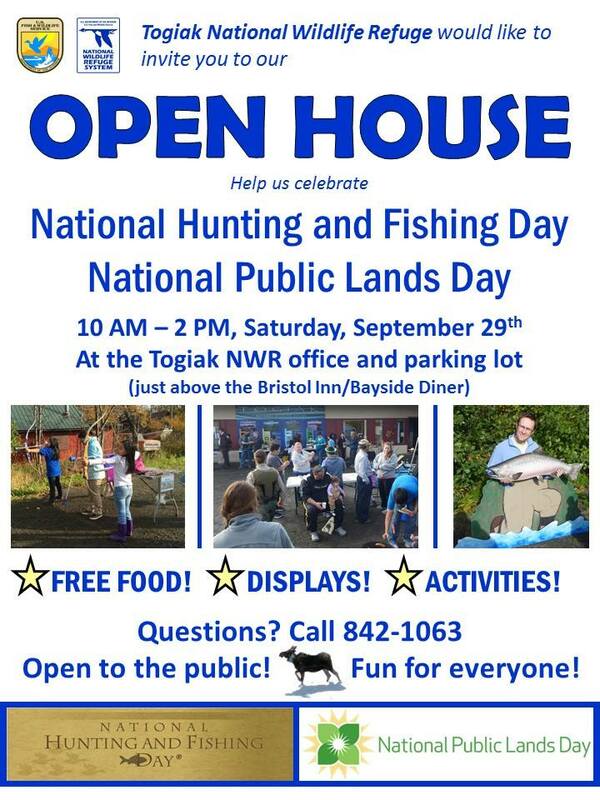 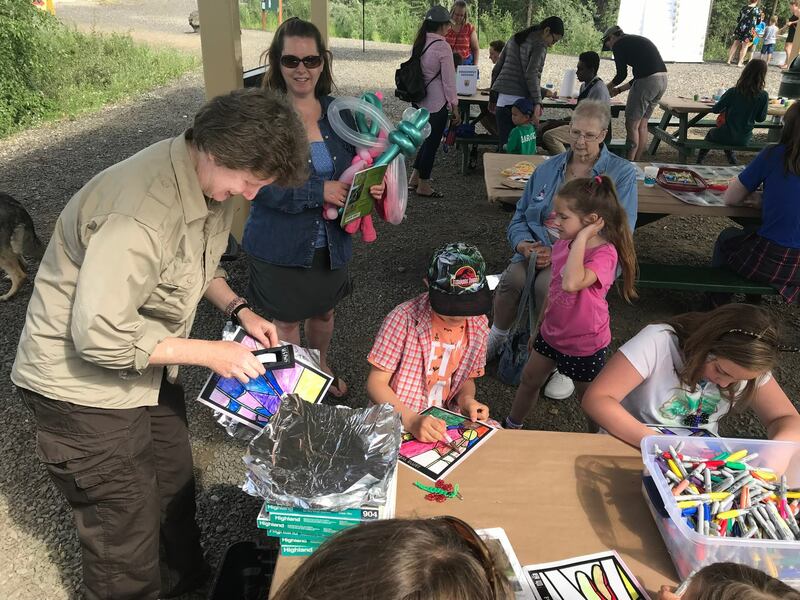 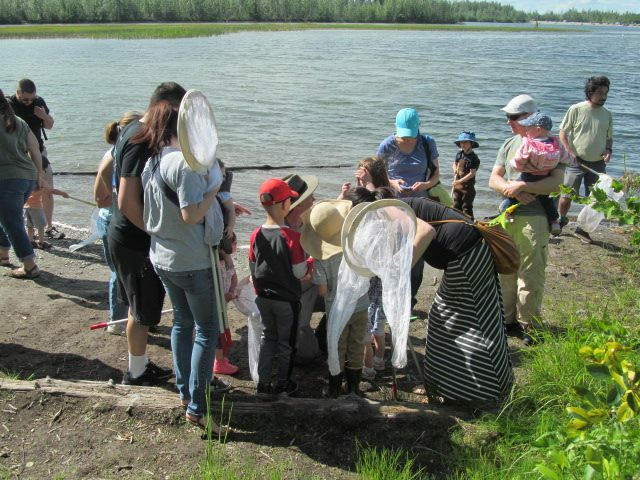 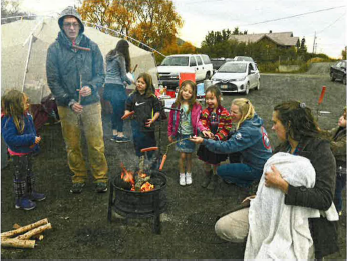 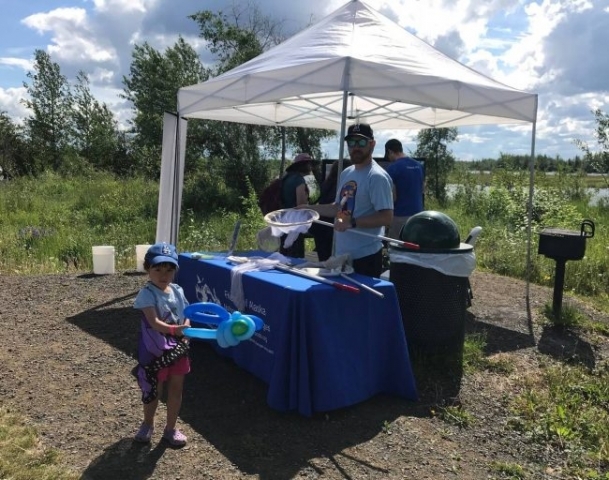 Togiak National Wildlife Refuge hosted an Open House event for about 100 participants, including Lieutenant Governor Byron Mallot. 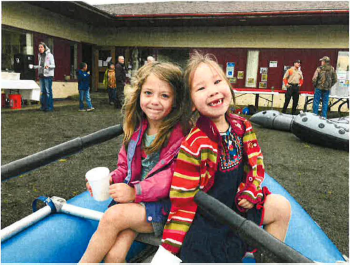 The Friends assisted in providing snacks and supplies for this awesome community-wide event. 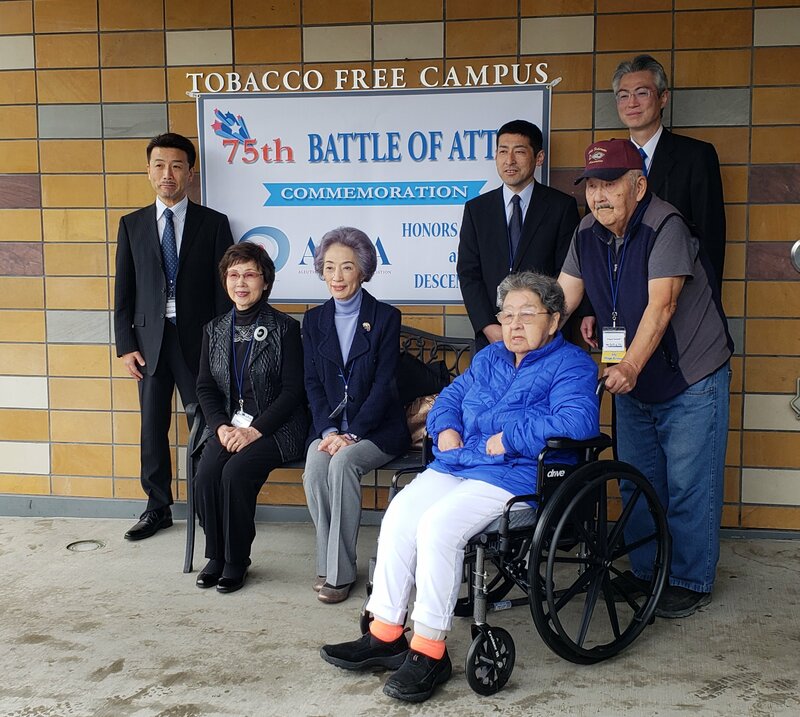 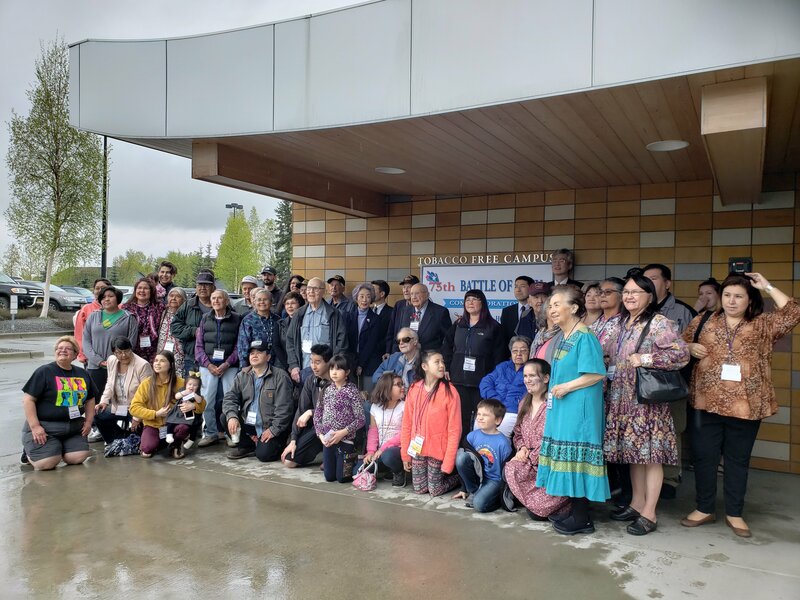 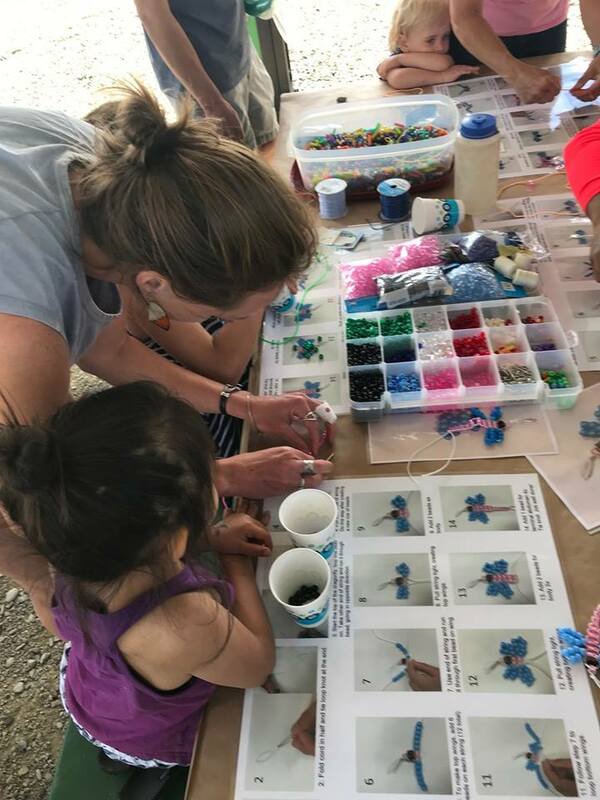 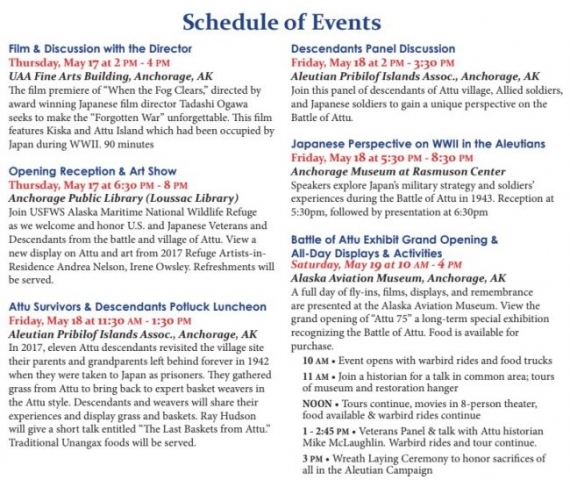 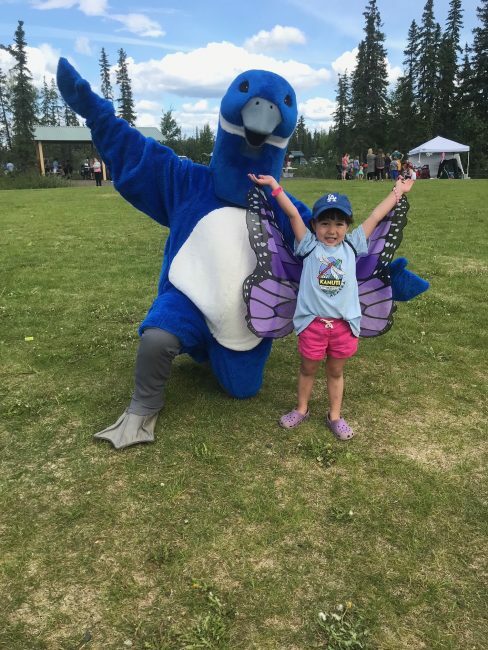 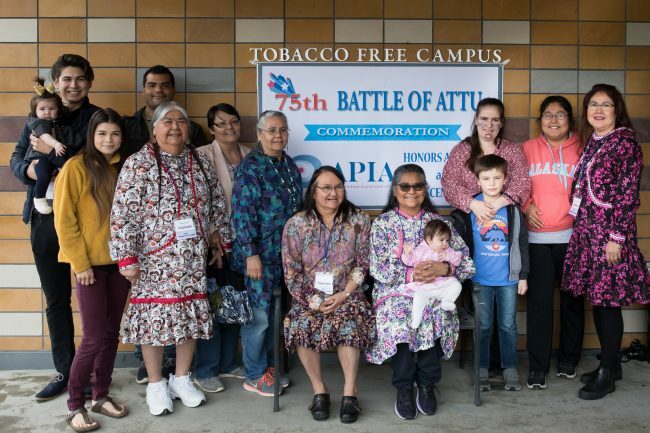 Over 1,000 participants joined us in Homer for the 26th Annual Festival: Thursday, May 10th- Sunday, May 13th, 2018. 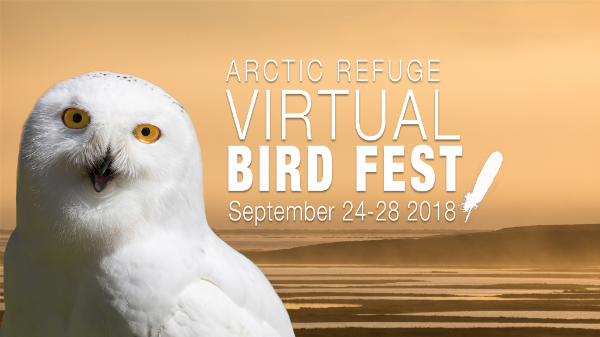 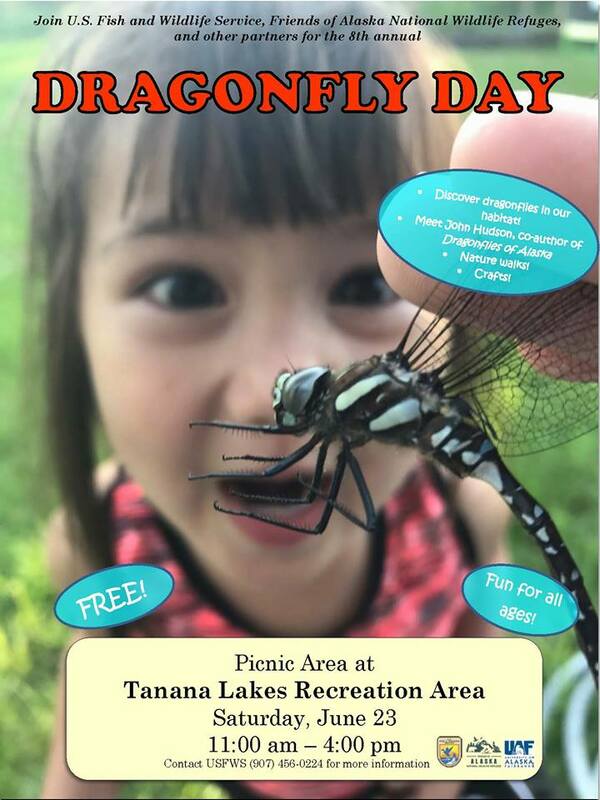 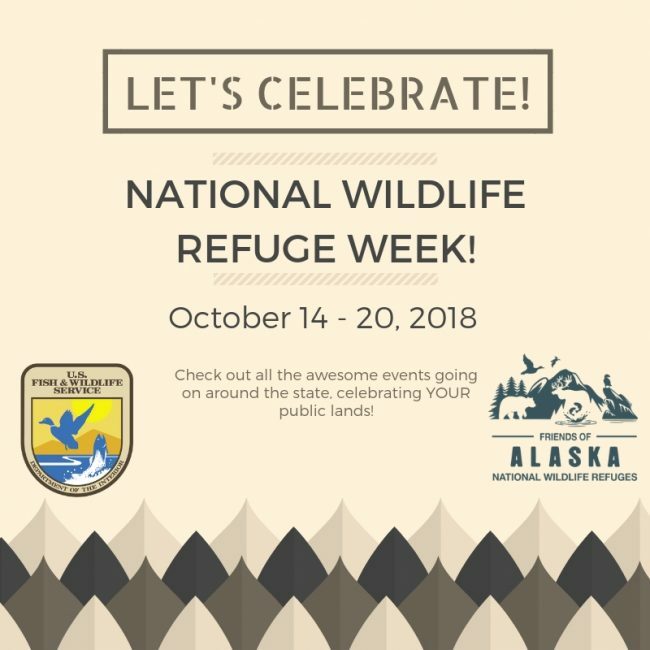 This Festival is co-sponsored by the Friends of Alaska National Wildlife Refuge and USFWS/ Alaska Maritime National Wildlife Refuge. 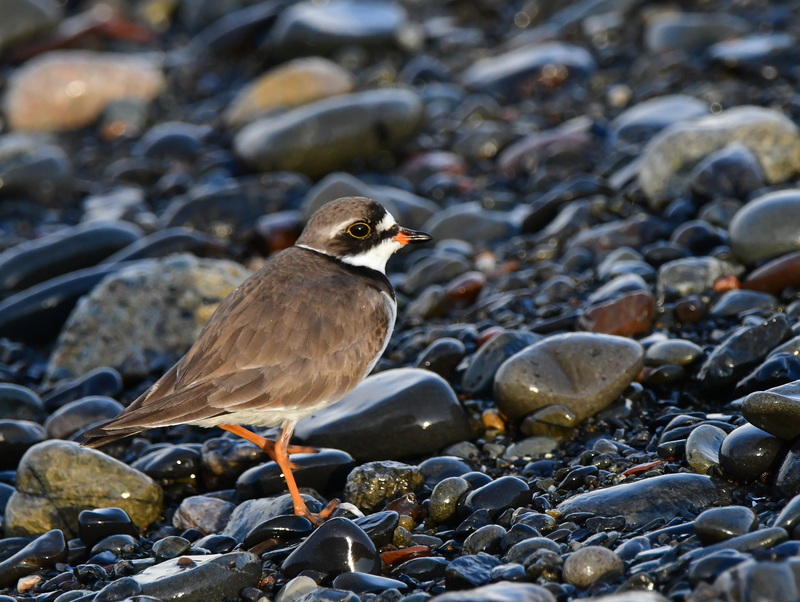 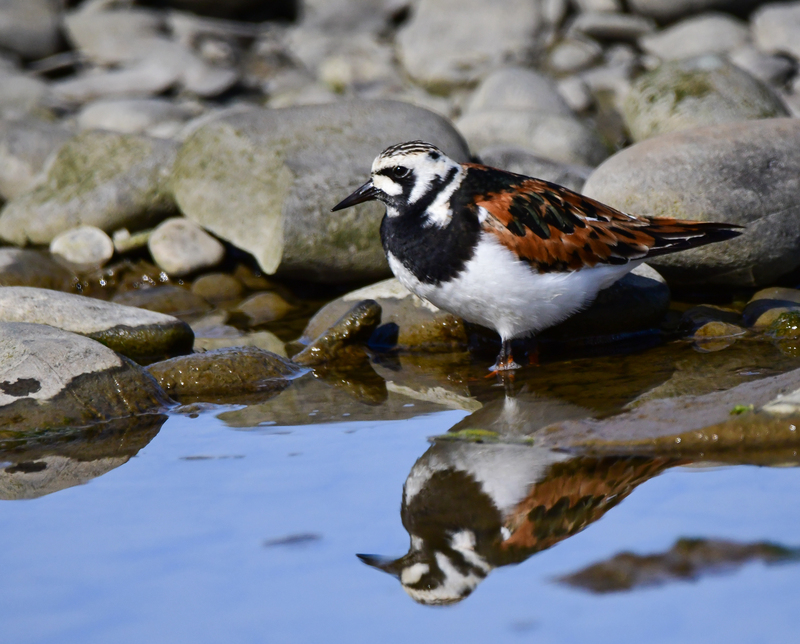 Alaska’s largest wildlife viewing festival honors the return of spring and it’s breathtaking bird migration. 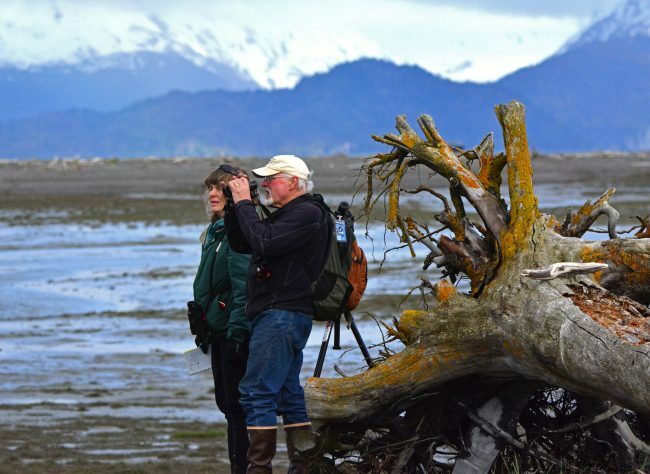 Homer’s seaside setting is perfect for spotting over 130 migratory bird species, as well as numerous other resident species. 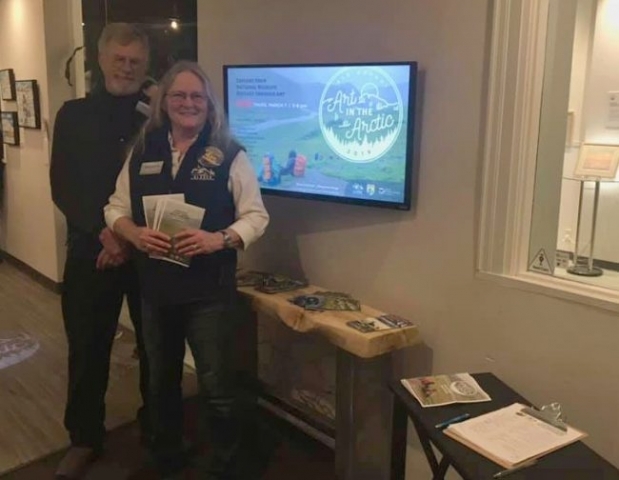 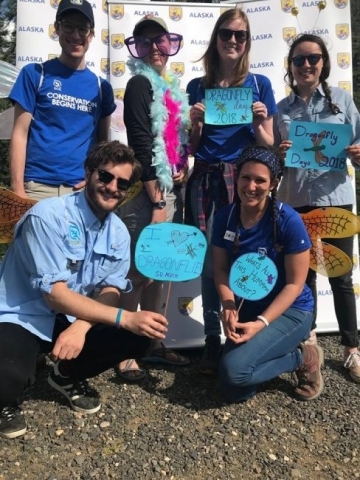 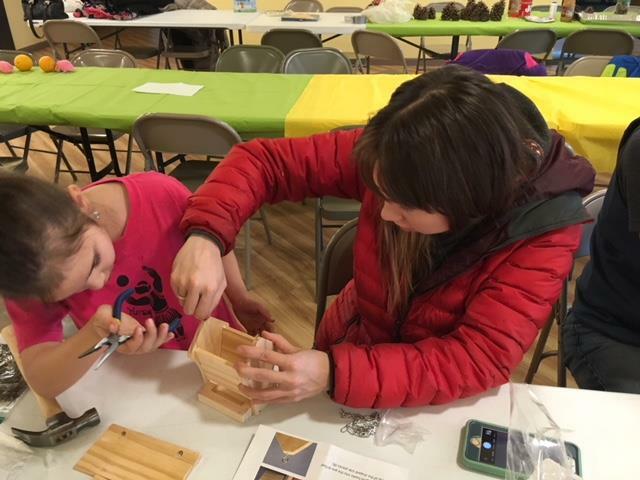 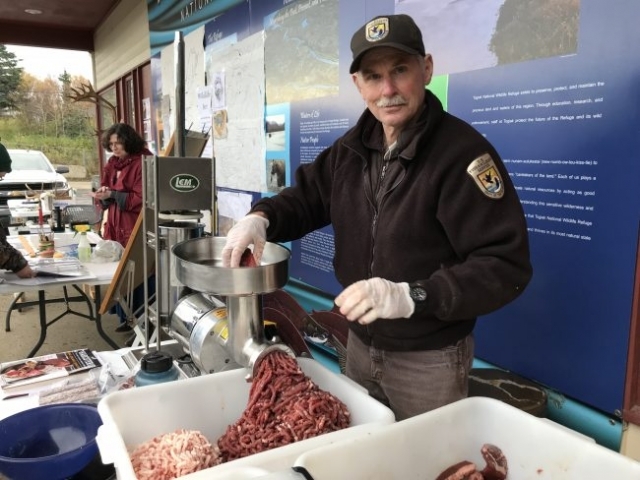 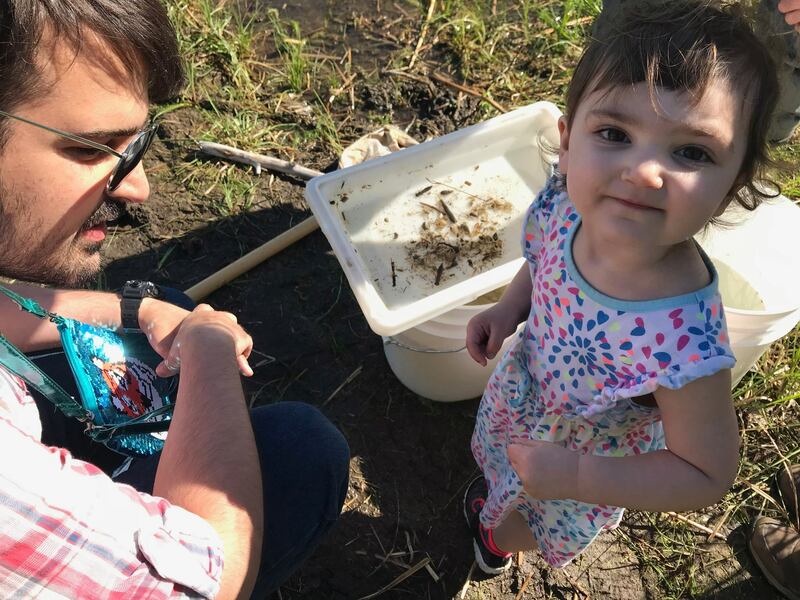 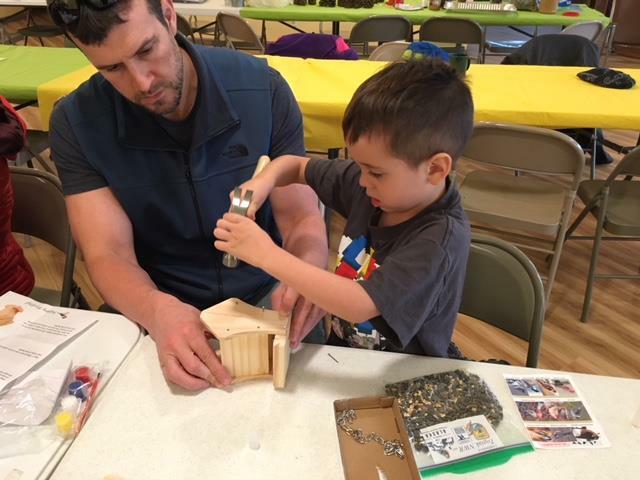 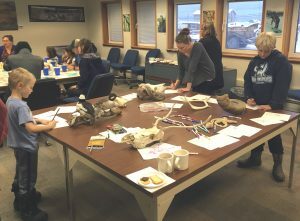 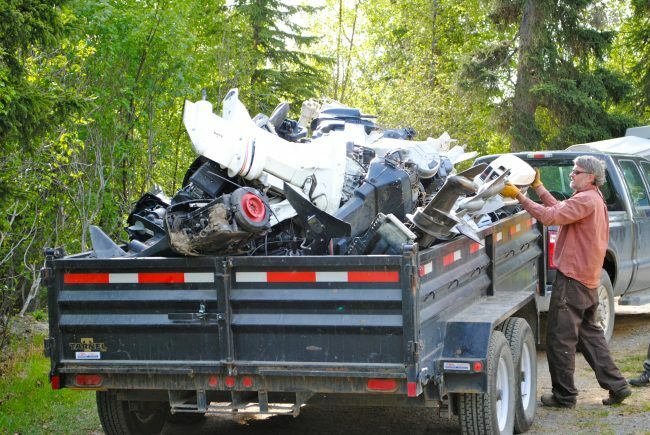 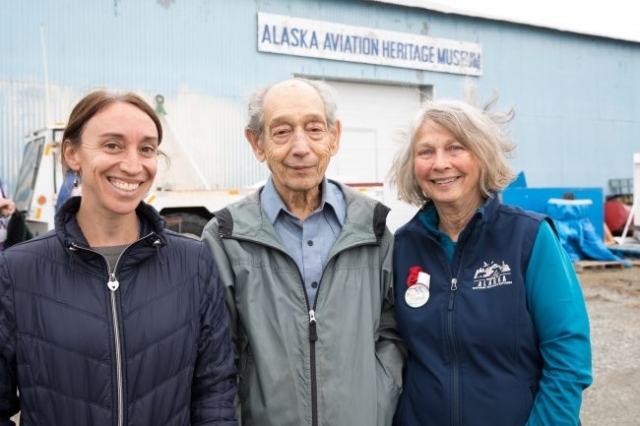 This event takes a village- the Friends and USFWS coordinated over 70 volunteers and had help from several area organizations such as Center for Alaskan Coastal Studies, Cook Inletkeeper, Kachemak Bay Research Reserve, Pratt Museum, the Homer Chamber of Commerce, Homer News, and many more! 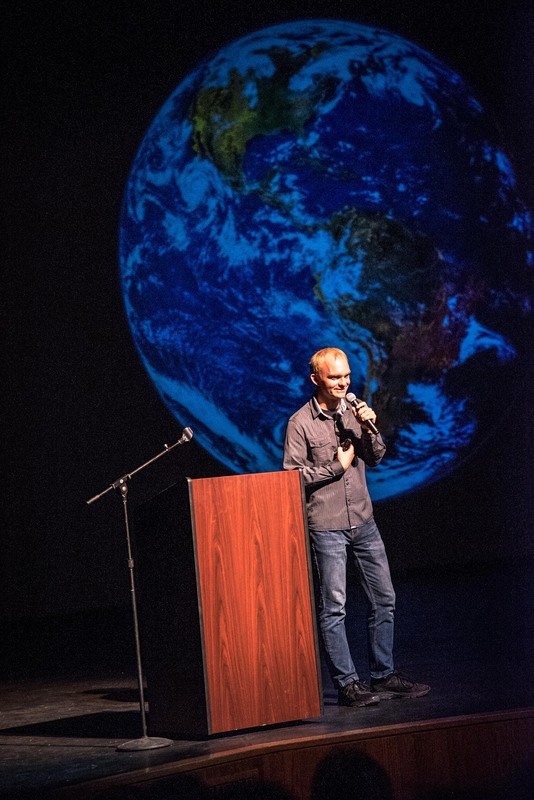 Our Keynote Speakers included Noah Strycker and Iain Campbell. 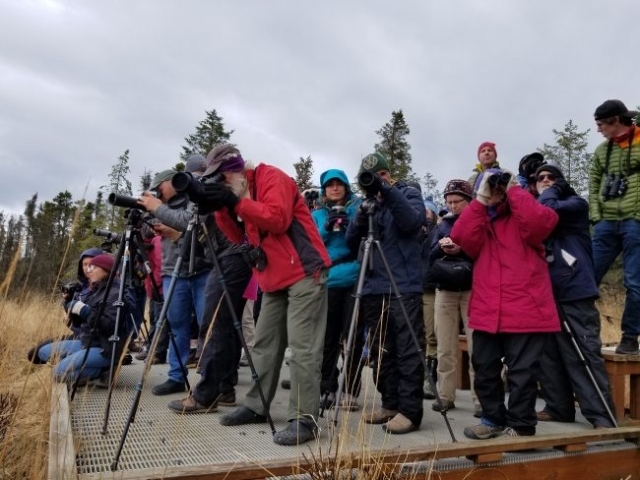 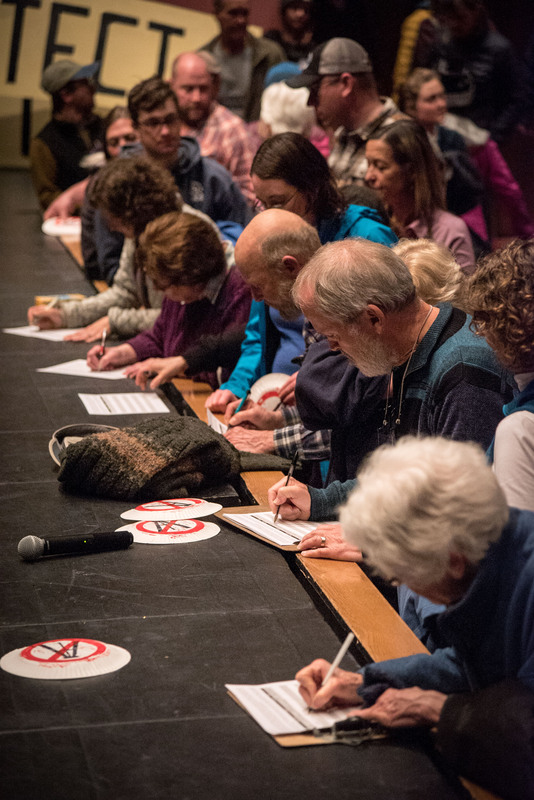 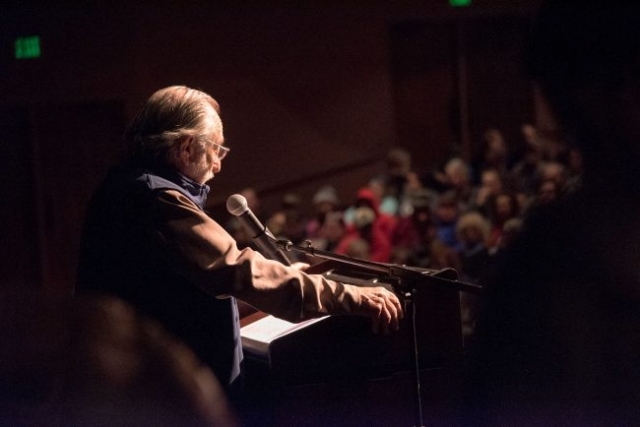 Our distinguished guests presented a variety of workshops and lectures, including presentations on Strycker’s new books, Birding Without Borders. 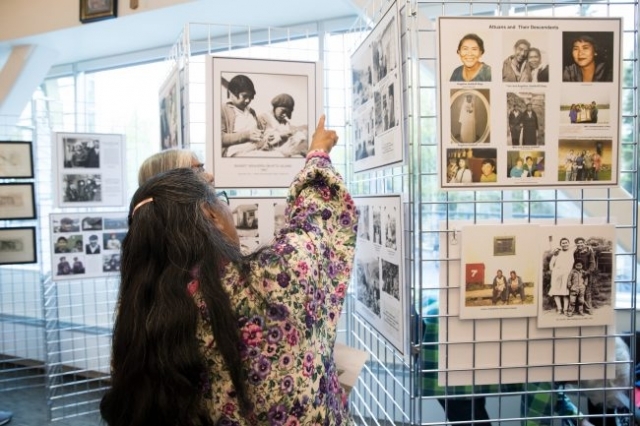 Campbell offered daily photography workshops as well. 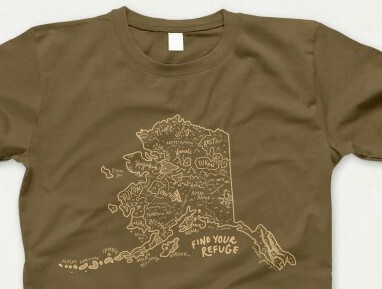 This year’s very popular artwork was created by Homer’s own Erin Rae D’Eimon. 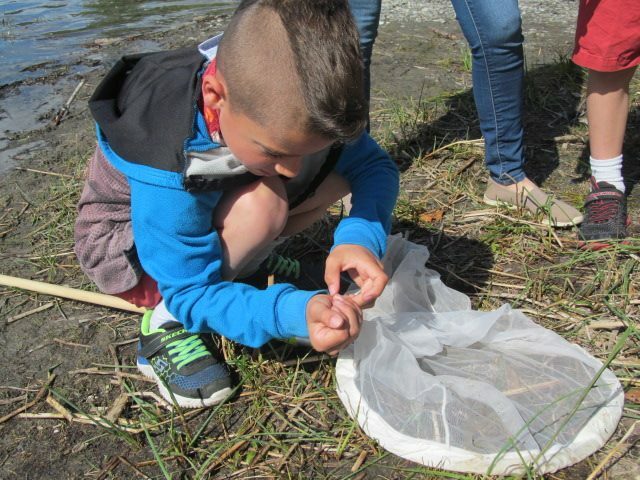 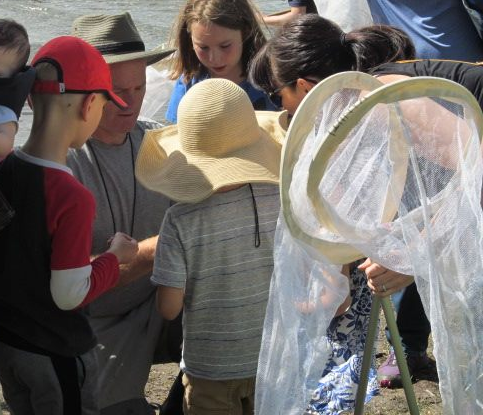 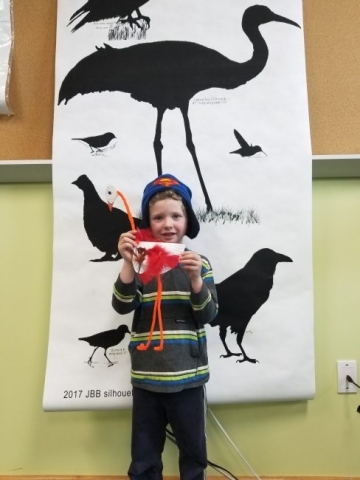 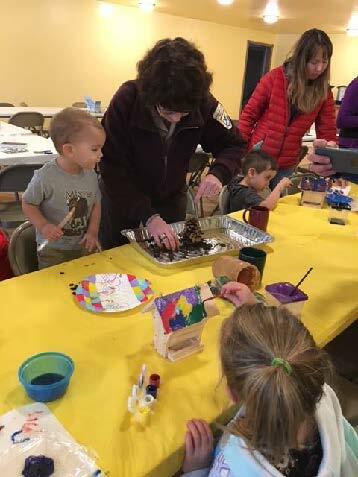 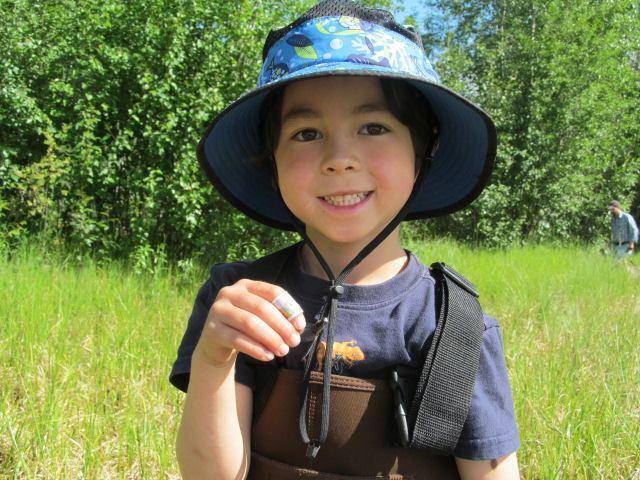 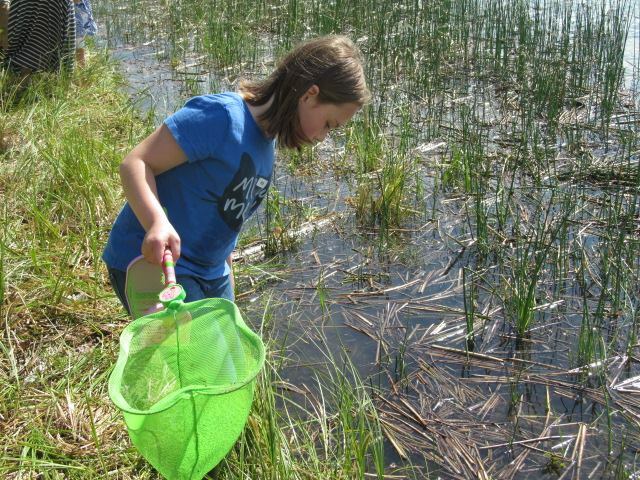 Junior Birders learned valuable birding skills during a variety of school-aged themed workshops and presentations.